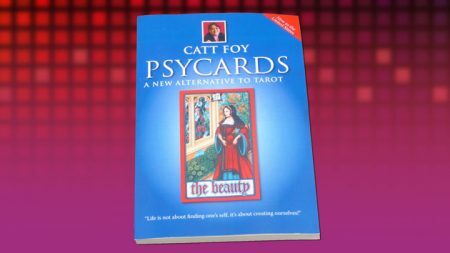 £19.00 (FREE Delivery in the UK; plus P&P for other countries) Postage and packing included. Our prices depend on the postage from UK to deliver your product. 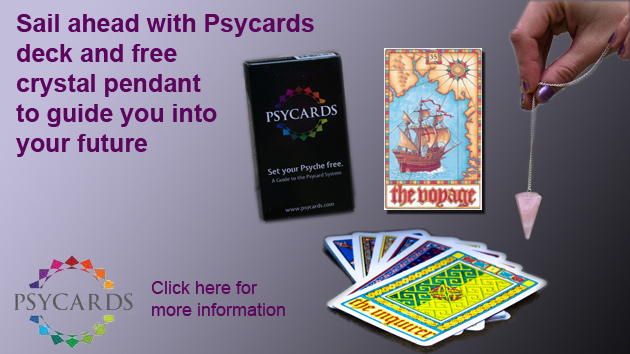 40 Powerful Cards for divination. 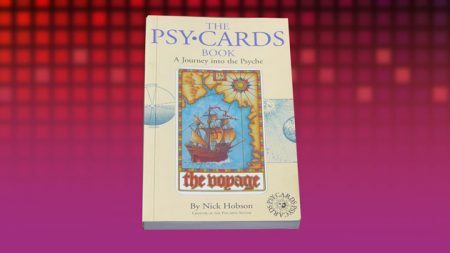 Psycards were created in 1980’s by Nick Hobson and were illustrated by Maggie Kneen. 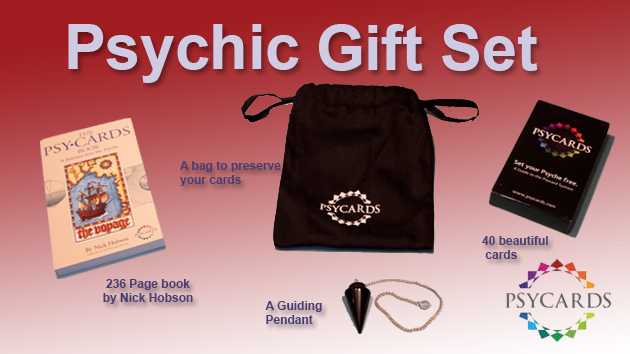 They are used around the world for divination and self-development. The sciences apply pendulum divination or dowsing for its reliability, but science cannot explain why or how it works. 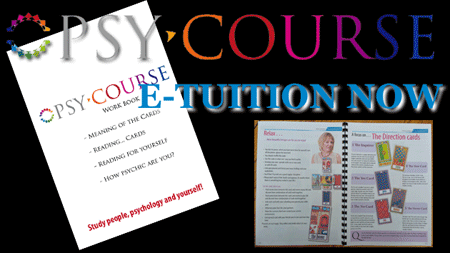 Popular theory is that signals from the subconscious stimulate reflexes in the fine muscles of the fingers, thus causing the pendulum or dowsing rod to move; a phenomenon known as the ideomotor effect or response. 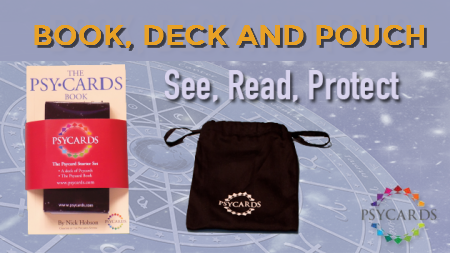 Bless your family and friends with a Psycards Deck with divination pendulum to guide you on your path of discovering. 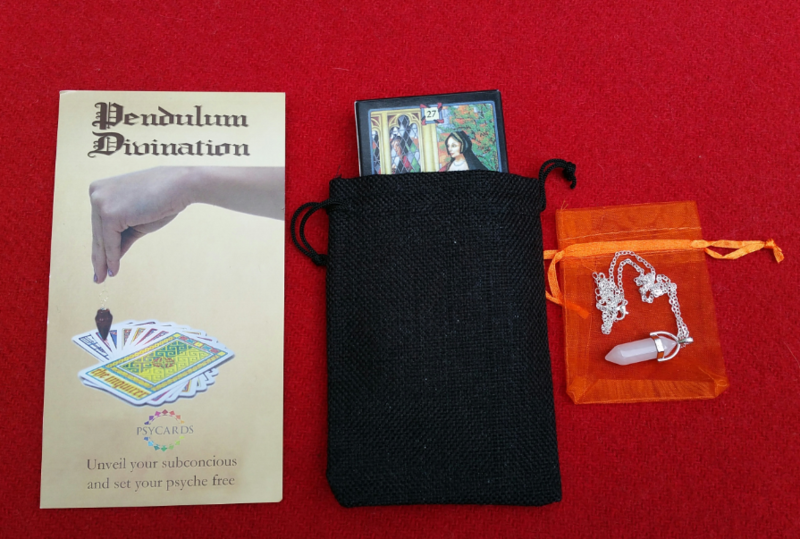 Comes with a flyer about how to use Psycards with a pendulum.